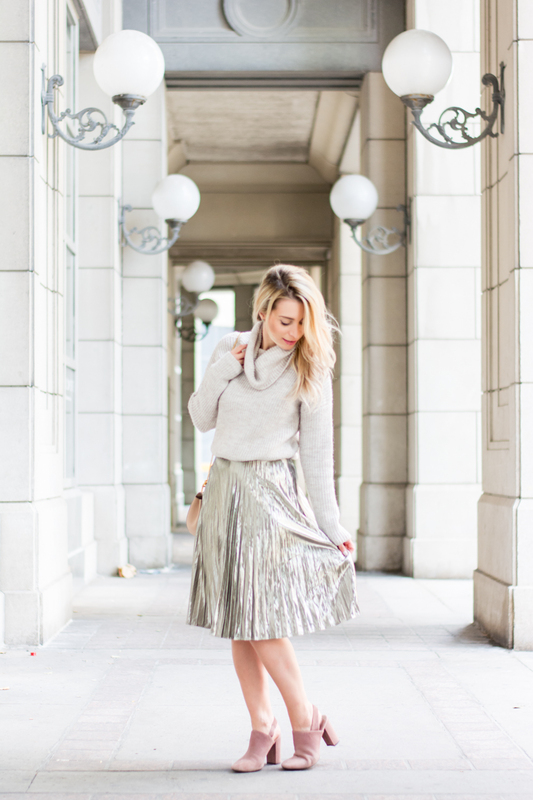 OOTD - The Gap Silver Midi Skirt | La Petite Noob | A Toronto-Based Fashion and Lifestyle Blog. 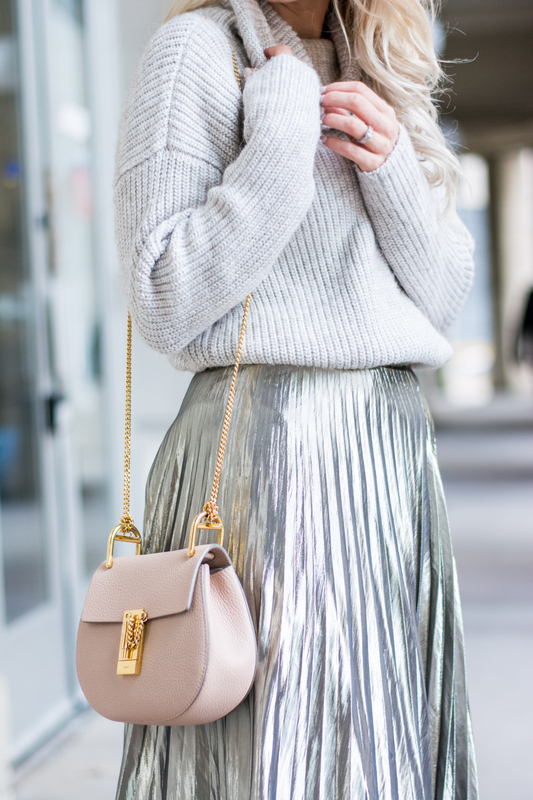 Love this sparkly look! So perfect for the Holidays. 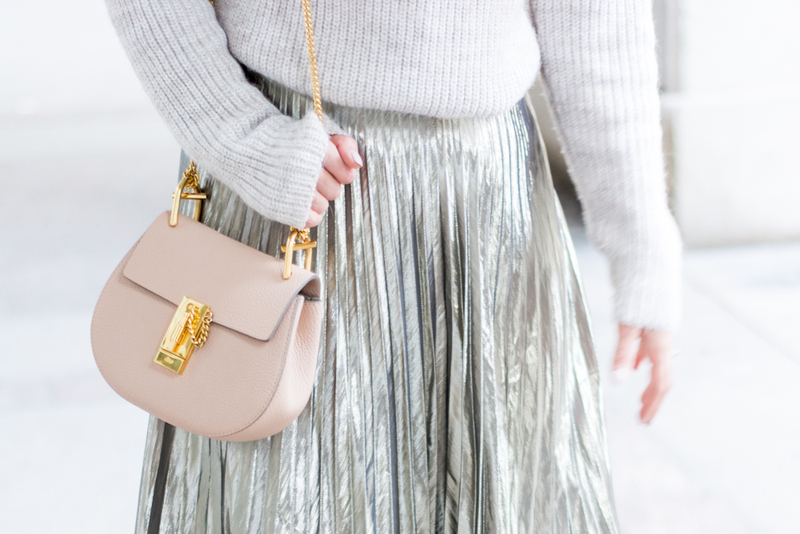 And I am all about the skirt and knit combo. Love the mix between silver and grey!!! you nailed it babe! SO cute! Totally reminds me of Christmas tinsel! Love it! I'd love to see a post about how you keep your hair looking so healthy after bleaching it, Joelle! I love the sweater and skirt combo! My question is how did you tuck your sweater into the skirt without it getting bulky? My tuck game needs some improvement! Love your skirt so much! This is definitely an item I need to add to my closet! Looks great on you!